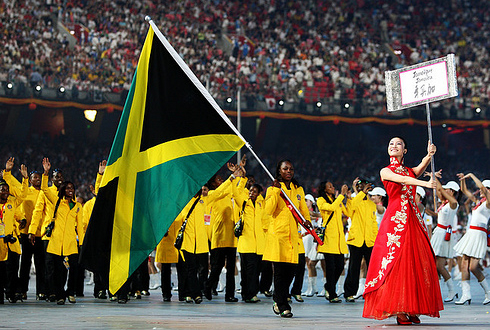 Jamaicans at home woke up in the early hours of the morning and Jamaica Nationals and fans all over the world gathered to watch the opening ceremony of the 2008 Olympics in Beijing China. 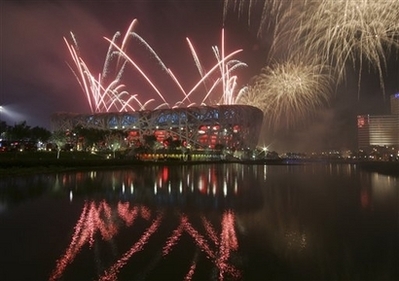 The lengthy ceremony was nothing short of spectacular and when the Jamaican Team was announced they enjoyed wonderful support from the crowd in Beijing’s brand new National Stadium nicknamed the “Birds Nest”. Olympic 200m Gold medalist Veronica Campbell-Brown was Jamaica’s flag bearer and the Jamaica team will be captained by World Silver medalist and national record holder in the Decathlon Maurice Smith during the games.